According to the 2015 Gartner Hype Cycle for Networking and Communications, ADC technologies are riding the Plateau of Productivity as a mature technology. This is similar to the ADC position on the 2011 chart. This implies that the ADC technology has been fairly mature with a reasonable adoption rate among the technology community for a few years. For a mature technology with a pedigree that goes back almost 20 years, then why are we still interested in the latest Gartner Magic Quadrant report for ADCs? This definition is much broader than the intention of the original ADCs that were developed in the 1990s. Back then, ADCs provided server load balancing (SLB) services, delivering scalability and availability to servers and their applications on the network. Soon thereafter, ADCs added global server load balancing (GSLB) services that manipulate DNS to provide geographic/data center scalability and availability. SLB and GSLB technologies formed the core of the ADC solution. Notwithstanding specific features and nuances, most ADC vendors can competently deliver these functions. To differentiate themselves, vendors have added advanced capabilities which are becoming part of the core ADC solution, as described within Gartner’s definition. ADCs have evolved tremendously since their inception, delivering optimization technologies like caching and SSL offloading. Applying server and application security capabilities into ADCs also makes sense. ADCs are becoming key security checkpoints as they integrate advanced security capabilities like web application firewalls (WAF), layer 7 content inspection and filtering, and DDoS protection. Lately, we have been re-architecting our networks to support cloud and virtualization technologies. ADCs are essential to deliver the framework necessary to enable the benefits of cloud and virtualization solutions. Specifically, we want agility and elasticity for the network and applications. In other words, we want to deliver new services quickly and efficiently, and we need on-demand resourcing to scale availability in real time, respectively. ADCs are critical to deliver the flexible framework to enable the functionality of the cloud and virtualized networks. Unified management and orchestration (MANO) support is necessary to integrate and automate ADC functions into the application and network ecosystem. It is not a simple task to deliver an integrated agile and elastic infrastructure across hybrid clouds and involving virtualization technologies like SDN and NFV. A full featured, robust, and integrated MANO is becoming another key component of the ADC solution profile. ADCs are becoming the gatekeepers for the delivery of application services. 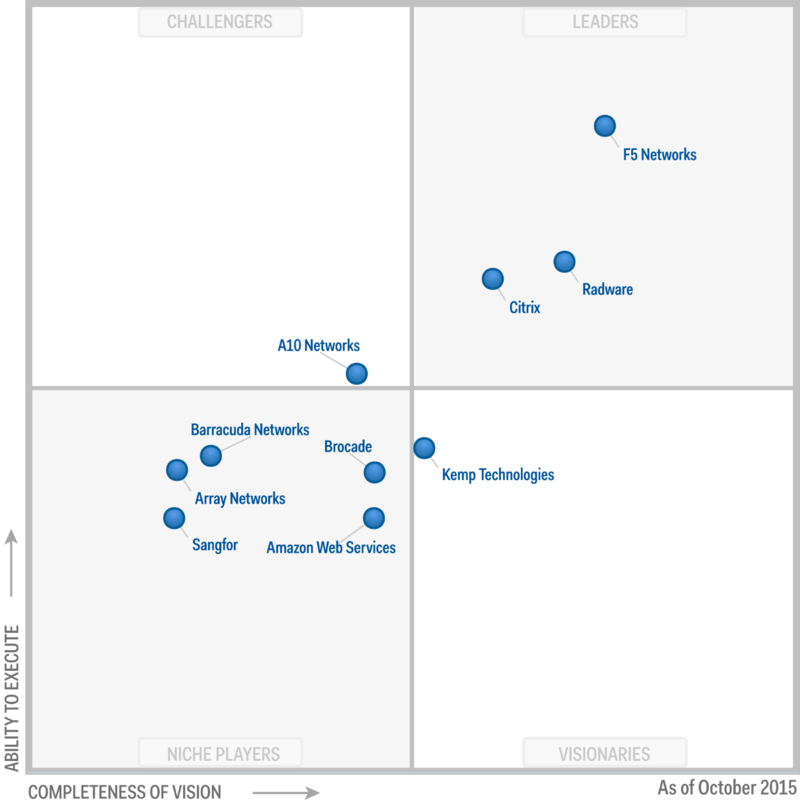 IT departments are becoming more interested in application SLAs than network SLAs. Ultimately, it is the application delivery that is mission critical. As technologies mature and become standard, the IT focus shifts from understanding how the technologies can benefit the business towards how the technology can be efficiently managed and provide visibility into the business applications. The network is the technology vehicle to deliver applications anywhere and anytime. Web performance optimization (WPO) and application service monitoring are examples of functions being built into ADC solutions that help IT departments meet the required application SLAs. By nature, ADCs have the potential to deliver the visibility into the health and performance of the applications. When business-specific metrics and policies are applied to that visibility, it becomes possible to deliver critical application monitoring which ensures the application SLA that businesses demand from their IT operations. The evolution of our network architectures is changing the requirements for ADCs. The vendors that are able to recognize these changes and adapt their ADC solution while delivering a rich, value-added solution are the ones that are appropriately recognized by analysts and the IT community. Note: Gartner does not endorse any vendor, product or service depicted in its research publications, and does not advise technology users to select only those vendors with the highest ratings or other designation. Gartner research publications consist of the opinions of Gartner’s research organization and should not be construed as statements of fact. Gartner disclaims all warranties, expressed or implied, with respect to this research, including any warranties of merchantability or fitness for a particular purpose.